Problem: The skew may get developed on the blade during automatic assembley operation. We are providing best quality products using. Specially treated blades for smooth comfortable shaves. - Internationally popular brand available in attractive packing. 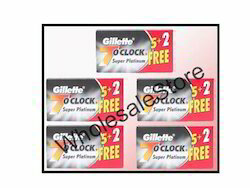 - Specially treated blades for smooth comfortable shaves.